Another Satisfied Customer | A.B.E. Remodeling, INC. 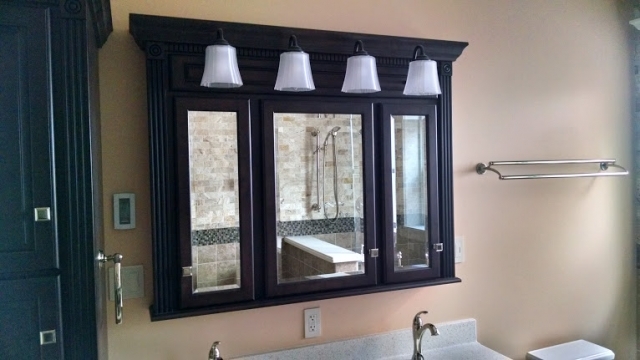 This just in-from our wonderful client Ron after his aged bathroom has been completely rennovated. Ron, having to make many decisions of the products to use to rennovate the bathroom can now enjoy the charm his bathroom offers. It turned out to all come together in a very pleasing way. Do you agree? 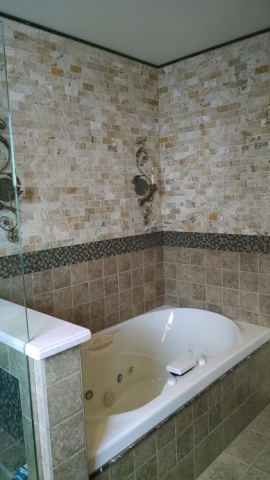 This bathroom has lots of tile work, a spa tub, lovely vanity, modern shower, customer closet, beautiful sink and countertop, and a new toilet. When I had the opportunity to see this bathroom it was down to bare wood and planks...it was quite old and I myself could not visualize the end results. But now that everything has been done and everything in place - it all turned out to be eye applealing. 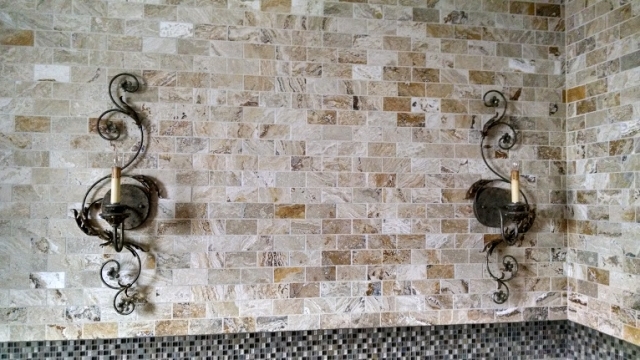 Attached are photos of my bathroom. Also, I uploaded a video to youtube. You can view the video by clicking on the following link: http://youtu.be/3P-6t32gia0. Thanks again for the beautiful job you and your team did. I'm really enjoying my beautiful, new bathroom and laundry room. We enjoy getting notes and pictures from our satisfied clients - we are so grateful for each and every client we have...we treasure them like family. Okay, everyone have a pleasant January day. As always, all our best.